Explanation: The critics rave - "Amazing! ", "Unbelievable! ", "The best I've ever seen!" They aren't talking about a movie, though. 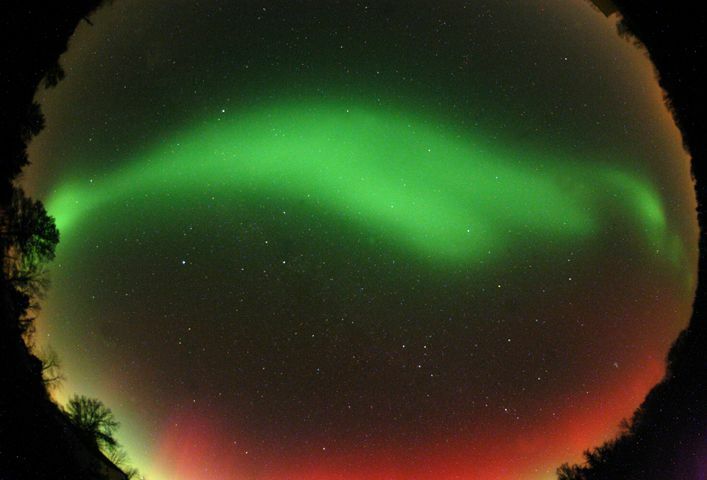 Instead, even casual sky critics are remarking on November's stunning auroral displays, visible with surprising intensities well beyond the confines of high latitudes where auroral activity is normally observed. In fact, in this example of an unforgettable performance a green ribbon of auroral light stretches from horizon to horizon - recorded on November 7th with a fisheye lens near Warrensburg, Missouri, USA. 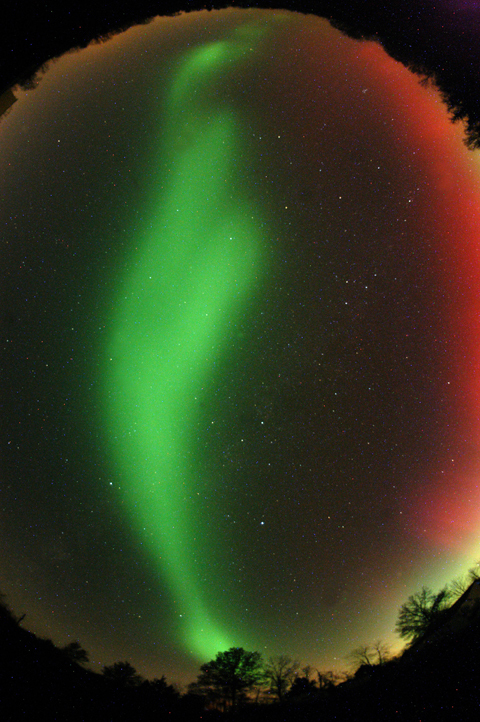 Want to see an aurora? Relatively wide-spread displays may continue, triggered by activity from an energetic sunspot region.